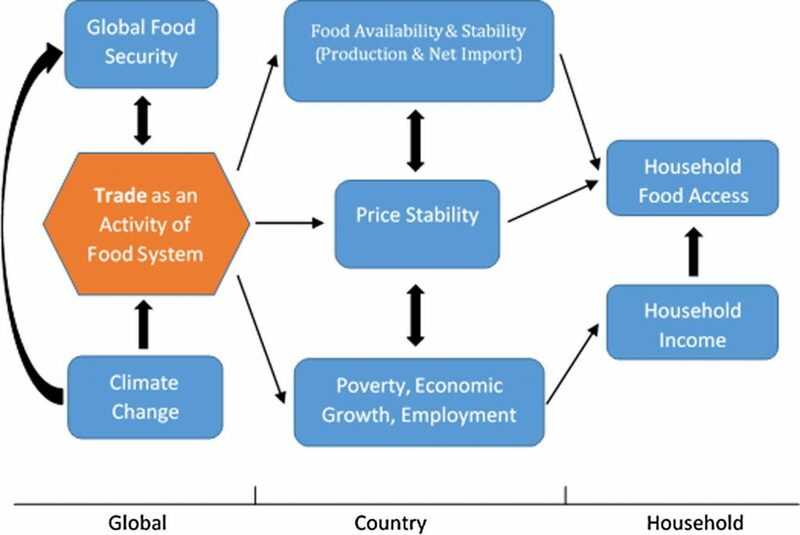 Journal article: Do markets and trade help or hurt the global food system adapt to climate change? Rapidly expanding global trade in the past three decades has lifted millions out of people out of poverty. Trade has also reduced manufacturing wages in high income countries and made entire industries uncompetitive in some communities, giving rise to nationalist politics that seek to stop or reverse further trade expansion in the United States and Europe. Given complex and uncertain political support for trade, how might changes in trade policy affect the global food system’s ability to adapt to climate change? The paper can be accessed online and downloaded in pdf from this page. Food Policy supports Open Access. This work was supported by the US Department of Agriculture’s Office of the Chief Economist and the CGIAR Research Program on Policies, Institutions, and Markets (PIM). Keith Wiebe is a co-leader of PIM's research cluster on Foresight Modeling within Flagship 1 Technological Innovation and Sustainable Intensification.